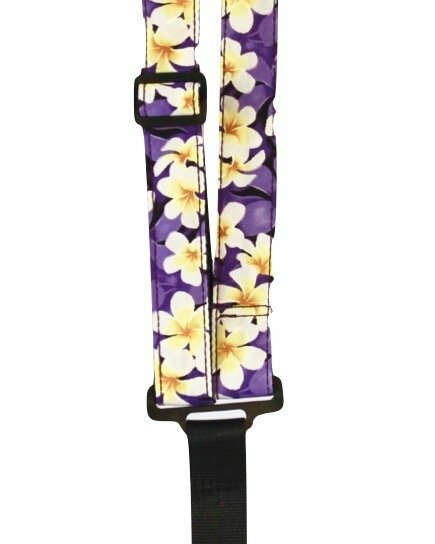 Traditional strap requiring no buttons drilled into your instrument. Attaches to your instrument with a plastic sound-hole hook. Two slides for a wide-range of adjustments. Vibrantly printed fabrics and ribbon sewn to soft, lightweight nylon webbing. Works well with ukulele, guitar or anything else with a round sound-hole.